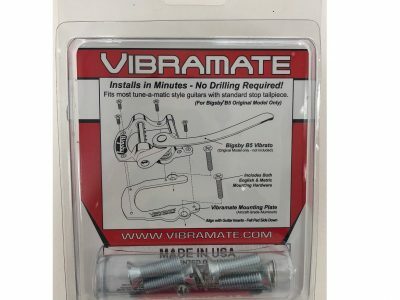 Now you can install a Bigsby B5 Vibrato on your Jazz Mater or Jaguar guitar without drilling any holes! 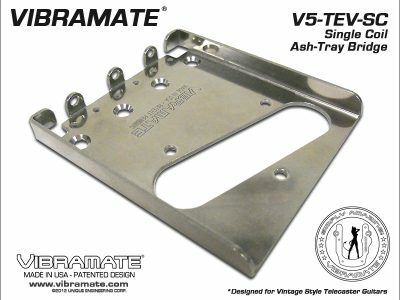 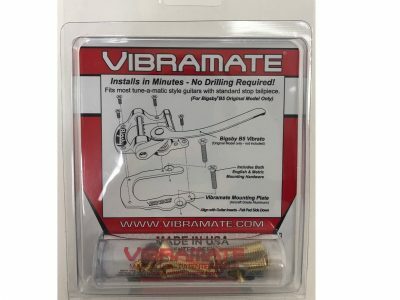 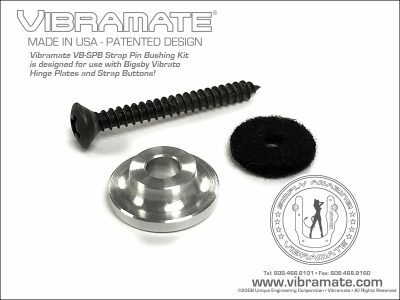 The Vibramate V5-JAM Model Mounting Kit is designed for a Bigsby B5 Original Vibrato and will fit most Standard Jazz Master or Jaguar guitars with Stock Vibrato Bridge. 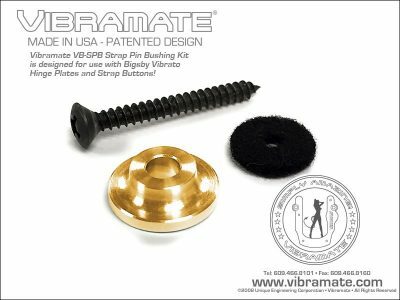 The Vibramate V5-JAM is available in Polished Stainless Steel, White Powder Coat, Black Powder Coat or 24K Gold Plating to accent your guitar the way you want! 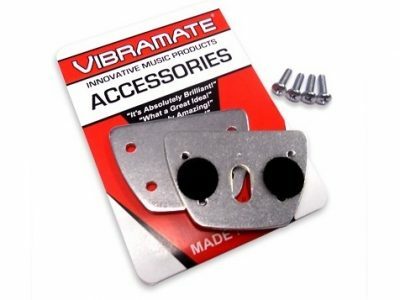 The Vibramate V5-JAM kit includes mounting hardware for the Bigsby B5 Vibrato and utilizes your existing plate wood screws. 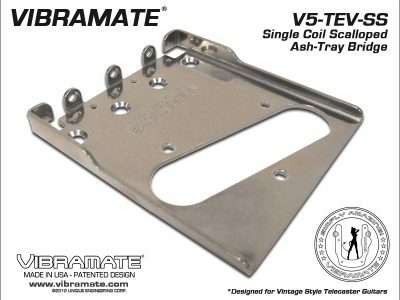 There is no need for drilling, soldering or removing the neck. 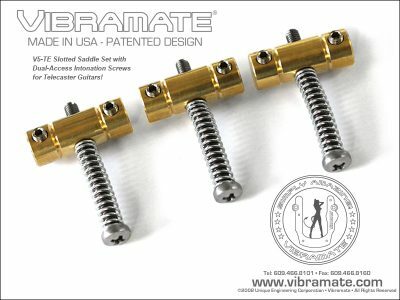 Fits Jazzmaster or Jaguar model guitars with the stock vibrato bridge.